After all the crazy holiday baking, I took a short break. It wasn`t so much a voluntary decision, but I got too busy with work and catching up with friends that I couldn`t afford the time or muster up the energy to bake and clean afterwards. When I started college, I was often told college students can only do two of these three things really well: 1. Get good grades ("A"s & "B"s) 2. Have a social life (this included hobbies, clubs, etc) 3. Sleep (the healthy 8 hrs+). Even though I thought it was pretty funny, I could definitely see the truth behind it. I realized it was a delicate balance you had to juggle often to achieve all three things well. It was too hard to do ALL three things well. Having graduated and all, grades have been replaced by work. Haha! I feel like time is like a pie and you have to try to divide it as best as you can between all of your duties. Okay, enough of my life and back to lemon things. I made this loaf cake for my mom's birthday last month since she`s not a fan of American sweets/cake. However, I did inherit her love for lemon! 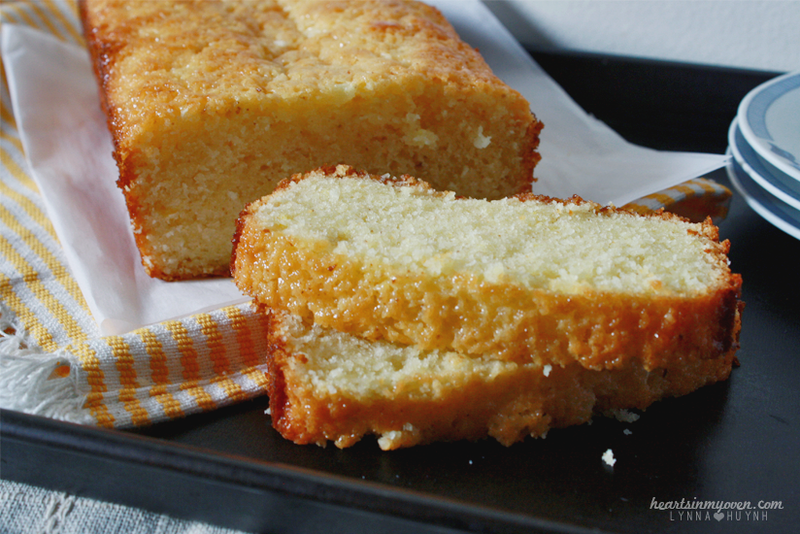 The reason this loaf cake stood out to me compared to the others I`ve bake is the lemon syrup you brush on the top. It leaves the bread shiny and oh-so-lemony. I`ve discovered many lemon recipes miss that lemon-kick I`m looking for. 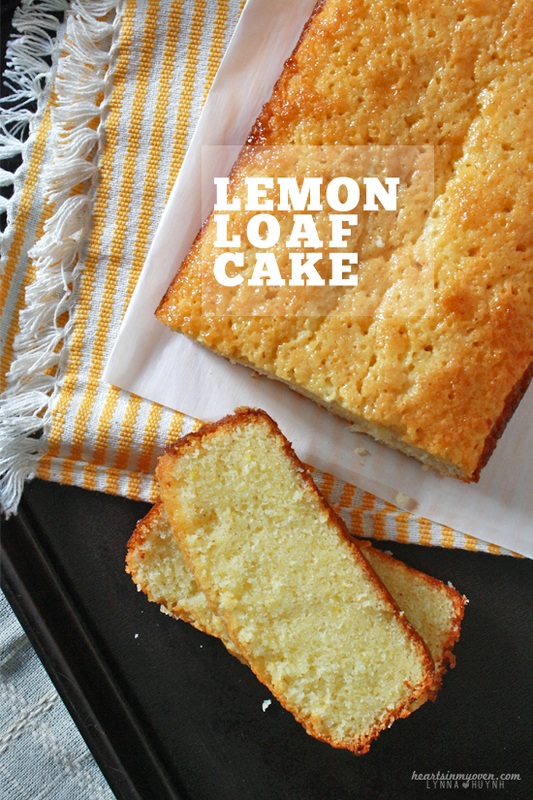 Each slice is thick, sweet, and lemony. I loved it, my mom loved it, and so did her co-workers! I ate a slice for dessert and for breakfast with a cup of milk. You can definitely bake a loaf easily to devour with an afternoon tea, as well. 1. Preheat oven to 350°F. Line nonstick 9x5inch loaf with parchment paper. 3. In medium bowl, whisk the cake flour, baking powder, and salt. 4. In another bowl, whisk the sugar, eggs, lemon juice, lemon extract and vanilla extract. 5. Add and combine in the browned butter. 6. Shift in one third of the flour mixture into the sugar and lemon mixture. Mix. Then, continue until all the flour is just combined. 7. Transfer batter into prepared loaf pan. 8. Bake in preheated oven for 15 minutes before turning down the heat to 325°F. Continue baking for 30-35 more minutes, or until tops are a golden brown color. A toothpick entered into the center should come out clean. 9. Let cake cool on cooling rack. 10. In a small saucepan, heat up the sugar and lemon juice, whisking constantly until sugar dissolves. 11. Poke holes randomly throughout the top and sides of the loaf. Brush the lemon glaze over the tops and sides. - Cake can be stored at room temperature, wrapped for a week.